Let me start by sharing my background…. What prompted PG to start on his own? – HCL, itself was suffering – needed people, computers very expensive, ..
Why not Berkley, why IIMC? You will have pressures even when you are working for others. What would the managers of NOKIA be doing today, when from being a leader in the business you have been relegated to a struggle in the market? Entrepreneurship has been an accepted path today. – Do not try entrepreneurship if you are risk averse..
– When the risks are there, rewards are there..
How do entrepreneurs chase the rewards – How does wealth get enhanced? We have not seen the future..
– Ideal path – job then entrepreneur, or start off? What worked for me might not work for you..
Each one has his or her own path…. – Did you have plan B, while starting a company? Knowledge is sitting in this room; we have everything here…. Just go and believe in your ideas and create your business. It was indeed an inspiring morning today when I took the inaugural session for the fourth batch of TYE of TIE (TIE Young Entrepreneurship program of The Indus Entrepreneurs). Three years ago, IWSB (Indus world school of Business), an endeavour of Career Launcher (CL Educate) initiated the program with TIE for the school children (classes 8-12; age 14-18) to experience the concept of entrepreneurship and kick start the potential journey of being an entrepreneur. This year, I was delighted to see over 90 participants from various schools assembling for the inaugural session at Bharti centre for Telecommunication technology at IIT Delhi campus on a Sunday morning. I was delighted to interact with a few parents of the children who have attended the previous batches and were glad to have their second child in this batch. They shared their experience of TYE program and its impact on their first ward – that their outlook towards life has changed and are pursuing their dreams passionately. I started the session by eliciting the ‘expectations’ of the participants from the program. Responses varied from ‘understanding entrepreneurship’ to possibly coming out with an idea that they can pursue to fruition, to finding possible partners who will be part of such a journey from among the participants, to getting ideas to raise funds and finding mentors…. It was heartening to see a large number of the participants well informed, though only handful of them has parents who are entrepreneurs. On my travel through chattisgarh, I reached Raipur from Bhilai, one early morning, after my day long workshop with about two hundred young b-school aspirants in Bhilai. My workshops usually end with my favourite session on entrepreneurship. And I am always on lookout for new stories all the time to add to the session. When I stepped out of the bus, it was early morning 7am, the roads were deserted in Raipur. In a while, school children started emerging on the streets to take their school buses. Since I had reached earlier than scheduled, I started capturing the children with my camera. I still had about an hour to spend before the CL office opened for the day. I thought of walking along the road further. As I moved, about a couple of hundred feet, I noticed a huge crowd around a ‘thela’ (a hand cart’). Also I saw that cars of various sizes and shapes were parked. I could just see the roof of the thela. This cart was parked in front of a large shopping mall, which was closed since it was too early in the day. I reached the place and started observing. The crowd was mostly a mix of youngsters – college students and, rich and wealthy who are on their way from their morning walks and workouts. The gentleman manning the thela, along with a young support staff, was too busy serving pipe hot ‘poha’. I was observing the action, while clicking a few photos too, from the vantage point of the mall. A group of youngsters, whom I could identify by their discussions as engineering college students, who live in nearby paying guest accommodations, finished their breakfast, packed a few more plates of poha and vanished. Crowd kept coming. Just then a group of four gentlemen, In their track suits, Got down from a car, ordered for their breakfast and started stretching and relaxing. I approached them to ask a few questions. Are you all coming from your morning workouts ? Yes, we go for a walk at Gandhi Udyan, which is a couple of kilometers from here. Do you go by this way every day?The way back from our work outs, we come here for our breakfast every day. Since how long have you been coming? We have been regular here for the last four years. What makes you come here? After our walks we tend to continue our chat. What a better way than to do it over hot, tasty and healthy breakfast. And Sahuji’s poha is the best. Meanwhile Sahuji delivers hot poha for them to relish. And I moved on to the thela. The crowd still coming. I accosted another gentleman who was eating his third plate of poha and started asking him about why and what of his choice of having breakfast here. He owns a Chevrolet showroom and has been a regular for the last two and half years. Here is the video. While Sahu ji was still busy, I tried to elicit some information about his business. Though I shared with him that all data I need is for motivating youngsters, Sahooji was very reluctant to reveal any numbers. He was willing to share a l other worldly knowledge, very comfortably. 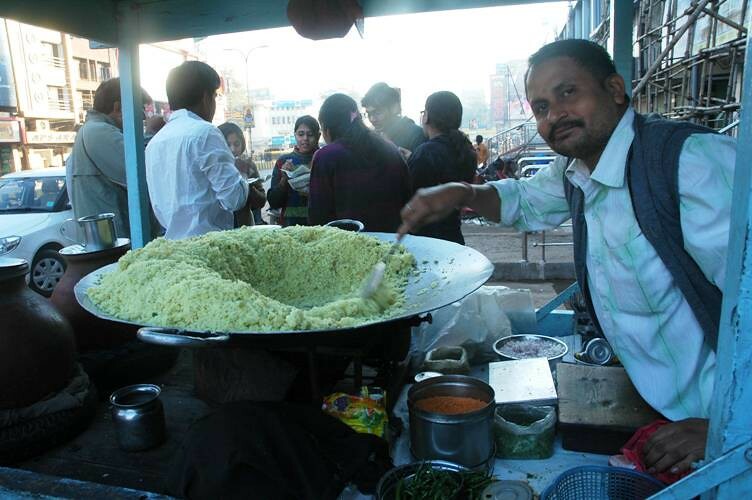 While interacting with me, he refilled the hot pan with the next tranche of poha from the stock. When I went for the motivation session in a college later in the day in Raipur, I started my session with this example. All of them immediately shared that the Pohawala is Sahooji and he is popular by the name Sahooji pohewale! What would happen if a young MBA grad goes and sits with Sahooji and, helps him think big. With his popularity, I am sure we can launch ‘many theles’, mentored and facilitated by him. Each of these theles can be branded ‘Sahuji pohewale’ working on standards and consistency in taste and experience. How many of us, well qualified B-school grads, are willing to take Such a challenge? Colleges are discovering a great opportunity in educating entrepreneurs and incubating companies. Radhika P Nair and Peerzada Abrar find out more. WHEN it comes to educating future entrepreneurs, “catch them young” seems to be the reigning philosophy. 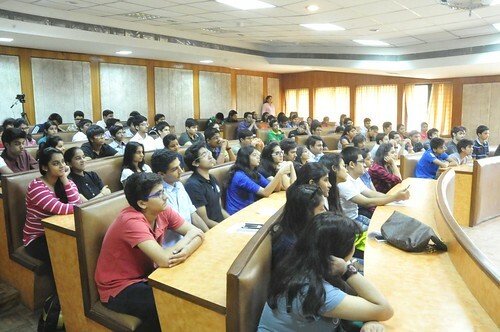 While many of the top management and technology institutes in the country, like the IIMs and IITs, have set up incubation centres and introduced electives that cover aspects of entrepreneurship, tier-II and tier-III colleges are the ones who have turned to entrepreneurship education in a big way. In fact, there is a move to inculcate entrepreneurship even in school children. The National Entrepreneurship Network (NeN), a non-profit organisation that helps develop entrepreneurship education system at academic institutions all over the country, conducts an annual Entrepreneurship Week, or Eweek, across colleges in the country. This year, they brought it to schools as well and got school students to try the “50 exercise”. Originated at Stanford, this game involves teams of students coming up with an idea, forming a company on paper and investing a maximum of 50 (not real currency) in the company. At the end of the half-day exercise, they see what they have earned and learned. Ahmedabad’s Satyameva Jayate International School (SJIS) teaches entrepreneurship to even six year-olds. 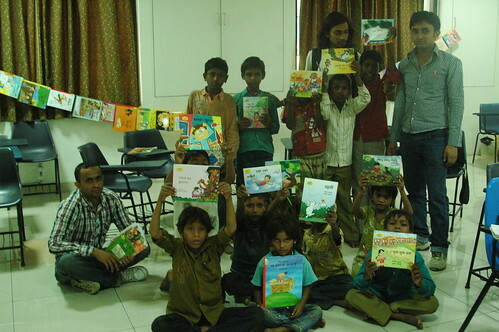 Hina Shah, the founder and director of SJIS, said they use specially designed modules to teach the children. However, can entrepreneurship actually be taught in a classroom? And, have these entrepreneurship courses produced entrepreneurs? Bangalore-based MS Ramaiah Institute of Technology (MSRIT) is one of the many institutes that have started focusing on entrepreneurship as a viable option for its students. “We give importance to practical aspects of enterprise as courses tend to focus only on theory,” said K Rajanikanth, principal, MSRIT. The institute has an entrepreneurship development cell, which provides training to interested students on a voluntary basis. The institute also has an incubation centre, which provides the entire infrastructure for the incubatee for two years. Rajanikanth said they are also planning to set up a seed fund soon. One of the successful start-ups to come out of the MSRIT incubator is Gumbi Software, an education solutions provider, set up by Harsha Mahabala, a 2006 Computer Science student of MSRIT. Mahabala always wanted to be an entrepreneur, but he was planning to study business administration before setting up his own venture. “Without the support and mentoring I received at my college, it would have taken much longer to start up on my own,” said Mahabala. Today, Gumbi Software is a 13.5-crore company. While Mahabala always knew he would become an entrepreneur, for Jia Jain it was chance and not choice that made him start a chain of fine-dining vegetarian restaurants, called 1947, in Bangalore. After passing out of Jain University’s MATS Institute of Management and Entrepreneurship in 2005, Jain set up his first outlet in 2006. He said there was a constant focus on entrepreneurship at the Institute. This led him to think of entrepreneurship as a viable alternative to a corporate job. He now has five restaurants and is eyeing a turnover of 8 crore this financial year. The Institute’s Centre for Entrepreneurship provides office space and infrastructure, mentoring and also administers a seed fund. The Centre has incubated 23 companies so far. The entrepreneurial culture in non-metro locations is also pushing various institutes to build the eco-system. Coimbatore-based PSG College of Technology has set up an entrepreneurial park in association with the Department of Science & Technology and financial institutions to promote technology-based enterprise. It has successfully graduated around 89 companies in the last 11 years out of which 60 are still in business. “The institute was a launch pad for me to not only develop the technology but take it to the market as well,” said G Rammohan, who did his masters in material science and business administration from PSG. Rammohan, who incubated his firm Vestige Technologies at PSG in 2007, provides biometric and electronic tagging technology solutions for tracking assets, jewellery and manpower. The 20-employee firm, which has bagged many contracts from government agencies and the private sector, has reached a revenue of over 1 crore. This focus on creating entrepreneurs is far from new. The Entrepreneurship Development Institute (EDI) was set up in Ahmedabad in 1983, with sponsorship from financial Institutions such as IDBI Bank, State Bank of India, ICICI Bank and IFCI. The sole aim was to create new entrepreneurs and providing additional training for businessmen who are already running businesses. 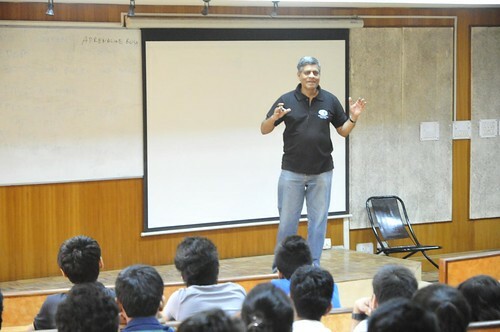 “Entrepreneurship can be successfully taught like any other discipline,” said Dinesh Awasthi, director of EDI. He said EDI’s curriculum focuses on imparting knowledge, skill development and building on inherent aptitude. Awasthi said a little over 69% of EDI’s students are successfully managing their own businesses. According to Awasthi, EDI has created “an ethical entrepreneurial mindset, coupled with entrepreneurial competencies”. For providing further support to students, IDBI, in collaboration with SIDBI, is offering collateral-free loans up to 1 crore, especially for EDI students. Career Launcher, an education service provider, has set up the Indus World School of Business (IWSB) in Noida in 2008 to bridge the gap in enterpreneurship education. While the Institute offers campus placements, the focus is on entrepreneurship and the institute has about a dozen start-ups incubating at its labs. Ankita Gupta is one of the many IWSB students who are already running ventures. She is part of a project selling affordable sanitary napkins to women in more than 20 villages in Uttarakhand. Gupta has collaborated with a local innovator, who has developed a machine that can produce 2,000 sanitary napkins in a day. Vipresh Sharma graduated from IWSB in 2010 and started an organic product venture, Bhagwati Herbal Agro Solutions. The venture earns around 25 lakh per annum in revenue. “Other B-schools mainly talk about how to run an organisation, but here I learnt how an organisation can be developed,” said Sharma, who is the first member in his family of farmers who has studied beyond class seventh. While experts, lecturers and students agree that practical training is important, most say that classroom-based theory also has its place in entrepreneurship education. Rohit Prasad, who heads the Centre For Entrepreneurship at Management Development Institute (MDI), is of the opinion that some basic aspects can be taught in the classroom. “Subjects such as accounting, managing human resources and legal points to consider while setting up a company can be taught in the classroom,” said Prasad. “Classroom courses give the basic knowledge on how to create an enterprise. Practical training adds to the theory,” said Mahabala. Almost all experts concede that such education might not create entrepreneurs immediately. “It takes time for an Institute to start creating entrepreneurs,” said MDI’s Prasad. “It is wrong to expect that start-ups will quickly be created by colleges that have a focus on entrepreneurship in their curricular and extra-curricular programmes,” said Laura Parkin, CEO of NeN. “The skills imparted in an entrepreneurship programme is useful in a regular corporate job as well,” said Rishikesha T Krishnan, professor of corporate strategy and policy at IIM Bangalore. He added that the institute, which currently has an elective in entrepreneurship, is planning to make entrepreneurial thinking a compulsory module in its flagship MBA programme. “Entrepreneurship education still has a long way to go. We have not yet started creating a large number of good entrepreneurs,” said C Amarnath, professor-incharge of IIT Bombay’s Society for Innovation and Entrepreneurship (SINE). However, “those who want to become entrepreneurs will get there with or without specialised education,” he said. With focused classroom programmes, interesting practical experience and the right support system, entrepreneurship education can give students a clearer picture of how to become successful entrepreneurs.